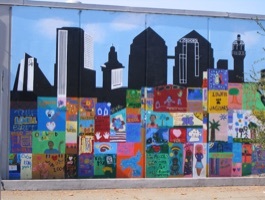 The Samaritan Neighborhood Center was established in 1982 by Steven Reimer as a community project of the First Baptist Church of Oakland and was jointly supported by St. Francis de Sales Catholic Church. SNC at that time offered a “drop-in” recreation program for the children and youth in nearby neighborhoods. By 1988 an optional “Homework Club” and educational component was developed. Late in 1995 SNC was able to garner enough private foundation support to become incorporated as a non profit in May of 1996. During the summer of 1997 our academic enrichment and mentoring project the Student Tutorial Endeavor Program (STEP) was established when Chris Martinez developed the partnership with UC Berkeley by recruiting Cal students to be tutors at SNC. Today students at UC Berkeley earn academic credit by being volunteer tutors! This component is vital to the mission of SNC and has proven invaluable since we can provide quality programs at a fraction of the cost due to the Cal student volunteer base. SNC continues to provide year round programs for low income children and youth which include after school tutoring and homework assistance, exercise and recreation, computers and iPads with high-speed internet access, arts and crafts, mentoring, leadership development opportunities, field trips and camps. We also provide transportation from local schools to SNC and then take our students home each evening. These services and programs provided are vital in Uptown and West Oakland! 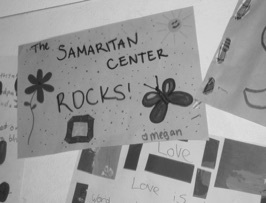 One can see that the Samaritan Neighborhood Center is a real bargain and a community treasure. For under $2,000 per child, we provide a full year of after-school tutoring and activities, as well as a summer program--all at no cost to the children and youth we serve! If you can make a regular financial pledge or a one-time donation to SNC your support will be greatly appreciated.